Dr. Mark Teaford, professor of physical therapy in the School of Health Sciences at High Point University, recently attended the meetings of the American Association of Physical Anthropologists in Portland, Ore., and served as organizer and auctioneer at the fifth annual auction of the event that raises funds for students who hope to attend the meetings. 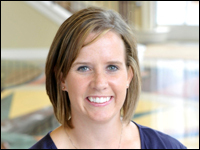 Dr. Alexis Wright, assistant professor of physical therapy at High Point University, recently received the 2012 American Physical Therapy Association’s Dorothy Briggs Memorial Scientific Inquiry Award for her paper on hip osteoarthritis. She will receive her award at the APTA national conference this June in Tampa. Two faculty members in the School of Health Sciences at High Point University recently represented the school at a national meeting – the American Physical Therapy Association’s Combined Sections Meeting (CSM), held in Chicago, which featured 11,000 physical therapists from all over the nation. Dr. Eric Hegedus, chair of the Department of Physical Therapy, and Dr. Alexis Wright, assistant professor of physical therapy, both presented at the meeting. 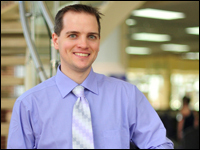 The Department of Physical Therapy recently hired Dr. James Smoliga as associate professor of physiology in the new School of Health Sciences at High Point University. In his new position, Smoliga will be course director for the physiology and pathophysiology content in the university’s physical therapy curriculum. He will also provide research experiences for undergraduate and graduate students. Smoliga will also be teaching physiology courses. 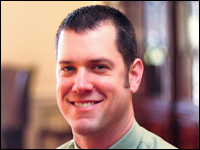 The Department of Physical Therapy at High Point University recently announced its hire of Dr. Jeffrey B. Taylor as assistant professor and director of clinical education in the new School of Health Sciences. Taylor’s role at HPU will be director of clinical education for the Department of Physical Therapy in the new School of Health Sciences. Dr. Alexis Wright, assistant professor of physical therapy for the School of Health Sciences at High Point University, recently published an article in Lower Extremity Review, an online magazine for the field of podiatry, physical therapy, and orthopedics. The article focuses on hip osteoarthritis and the benefits of physical therapy. The growth of the human heart in a child is a miraculous thing. Dr. Mark Teaford, professor of physical therapy in the School of Health Sciences at High Point University, will explain the complexities of this process and what makes it so intriguing at a Mended Little Hearts meeting from 7-8 p.m. on Nov. 17 at the Ronald McDonald House in Winston Salem. Dr. Eric Hegedus, director of the Physical Therapy Department in the School of Health Sciences at High Point University, recently made a presentation about treating shoulder pain and injuries at the New York University Department of Physical Therapy in the Steinhardt School of Culture, Education and Human Development. The focus of the course was to present current research that allows better clinical diagnosis and treatment of patients with shoulder pain. High Point University recently co-sponsored the Second Annual Sports Medicine Seminar, titled “Prevention of and Rehabilitation for Sports Injuries and Illnesses.” The event, held on July 26 on campus, was aimed at Triad area elementary, middle and high school coaches, athletic directors, athletic trainers and school nurses. The free event was sponsored by HPU and the Cornerstone Healthcare Foundation. Neal Darmody, a rising senior majoring in exercise science at High Point University, is gaining eye-opening experiences in a unique internship with the National Institutes of Health in the National Institute of Nursing Research (NINR) and the NIH Clinical Center’s Department of Rehabilitative Medicine. Darmody is working with doctors to rehabilitate soldiers returning from Afghanistan who have traumatic brain injuries. 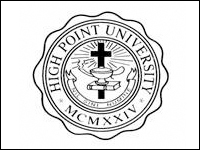 Four High Point families are giving $10 million each to High Point University, bringing the total to eight families who have contributed $10 million since Dr. Nido R. Qubein became president. The families of Earl E. Congdon, Fred E. Wilson, Jr., Mark A. Norcross and Nido R. Qubein have committed $40 million to the university, with most of it dedicated to the School of Health Sciences and the proposed school of pharmacy. 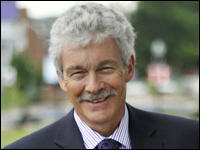 Dr. Mark Teaford, currently a course director for the Johns Hopkins School of Medicine’s anatomy program, will join High Point University as professor of anatomy in the proposed school of Health Sciences. He joins two prestigious colleagues – Dr. Daniel Erb, dean of the school, and Dr. Eric Hegedus, director of its physical therapy program, both formerly of Duke University. 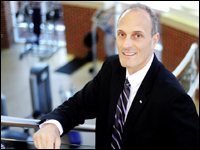 Dr. Eric Hegedus, professor of physical therapy and director of the proposed physical therapy program in the School of Health Sciences at High Point University, has become a featured contributor on ESPNRise, a website for high school athletes. 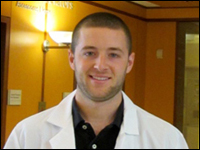 Hegedus, along with colleague and physical therapist Ben Stern, have published three articles on the site thus far. 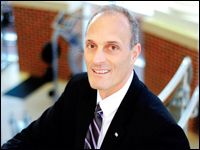 Dr. Eric Hegedus, professor of physical therapy at High Point University, was recently selected as the 2011 recipient of the James A. Gould Excellence in Teaching Orthopaedic Physical Therapy Award. Hegedus will receive the award at the Orthopedic Section’s Award Ceremony on Feb. 11 in New Orleans. “The award is given to the single best orthopedics instructor in the United States,” says Dr. Daniel Erb, dean of the School of Health Sciences at HPU. 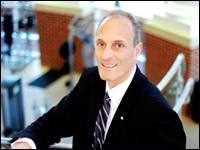 High Point University has named Dr. Eric J. Hegedus as the director of the proposed Physical Therapy program in the new School of Health Sciences. The School of Health Sciences is set to open in the fall of 2013 with a brand new, $50 million, state-of-the-art building, pending approval from the accrediting bodies. He also received a board specialty in orthopedic physical therapy, and a specialty certification in strength and conditioning. 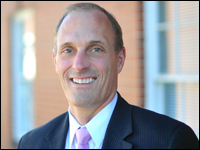 High Point University today named Dr. Daniel Erb as the new dean of the School of Health Sciences. The school is set to open with a brand new, $50 million state-of-the-art building in the fall of 2013. 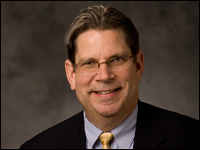 Dr. Erb served as the director of Graduate Studies and associate professor in the Doctor of Physical Therapy Division in the Department of Community and Family Medicine at Duke University Medical Center for the past 11 years. At a meeting earlier today attended by university and community leaders, High Point University President Dr. Nido R. Qubein announced that the university would continue its commitment to extraordinary education and the community by expanding its transformational growth plan from $300 million to $2.1 billion over the next 10 years. 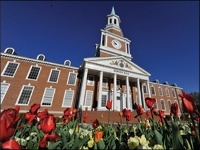 High Point University sophomore Erin Lonon knows how life-changing scholarships are ? especially since she was named a Gates Millennium Scholar, a prestigious and very competitive scholarship. Lonon, a native of Cumberland, Va., who is majoring in exercise science, says the renewable scholarship pays her entire college tuition. Naturally, it opened up a lot of doors for her. 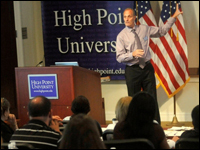 High Point University students will soon see some big changes in the Sport Management major at the university. The program will not only be moved from the College of Arts and Sciences to the Phillips School of Business, but it will also become a minor in the business school. The move will be official in August 2010. Anna Mahathey, a freshman sociology major at High Point University, has already taken part in several social experiments that will help her in her educational career on campus ? she has a burning passion for mission work. 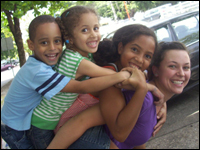 Mahathey, who took part in several mission trips during her high school years, says her most recent trip was to the Dominican Republic, where she spent an entire year completing mission work.